Today is February 4th and I am busy getting caught up on logs, as there is much to tell you. I am still writing about the first weeks of January! Then I can tell you all of the stuff we have planned for February in the next log out. 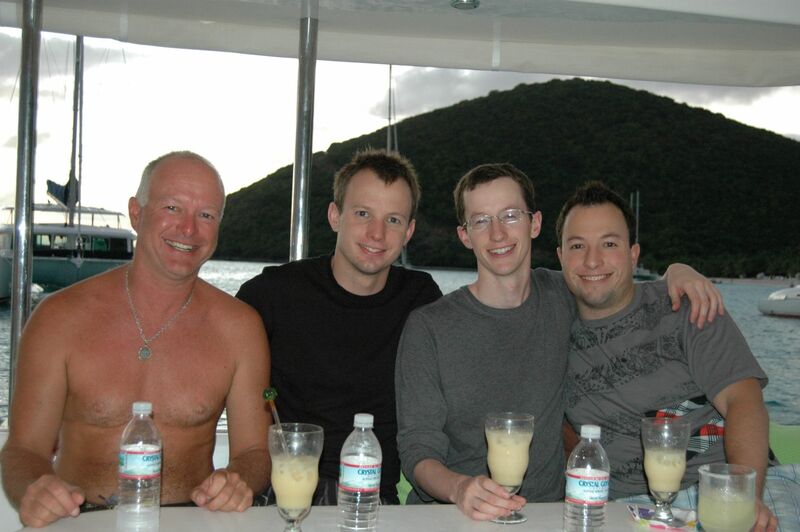 After Jon, Adam, Simon and Manica left us on the 4th of January we headed into Village Cay Marina for an unusual nite stay (for us anyway) at a marina. We prefer to anchor out and feel the trade winds blow thru the cat at nite rather than be uncomfortably hot in a marina. Some boats stay constantly at marinas…. weird. However, Village Cay Marina has the distinction of being one of the smelliest places I have ever been, due to the fact that Road Town pumps all of the sewage into the water at the marina. The islands don’t have much in the way of infrastructure but still….. I have to cover my nose and mouth or I will gag, especially if there isn’t much of a breeze to blow the stench somewhere else. Our guests, Rob, Tina, Danielle, James and Jocelyn were due on the morning of the 6th so, it’s a necessary stinky stay at the dock to get all of the laundry done in 24hours, the provisioning for our next guests purchased and stored away, the cat cleaned, fueled and watered up. We still managed to enjoy a few coldies in between chores by pinching our noses closed while chugging. Needless to say, we were busy but excited to pick up our guests who were coming from Sudbury, Ontario, which is 4 hours north of our home town. We knew that they were kewl coming from Northern Ontario and couldn’t wait to show them the beautiful British Virgin Islands for the next 7 days. On the 6th we were in Soper’s Hole, on the West End of Tortola, bright eyed and bushy tailed with pots of coffee, Baileys and Caesar’s (it’s a Canadian thing!) waiting. The ferry was to deliver them from St. Thomas and drop them at 9 a.m. so that we could head off on our adventure right away. Unfortunately, the weather was not cooperating and we were getting a lot of rain. Numerous down pours throughout the morning causing me to wipe the cat down over and over so that she looked pretty for our guests. I gave up after awhile as it was futile. Nevertheless, right on schedule, I could see the gang waiting on the dock waving. Doug was already on shore waiting for them and after bringing them and their luggage to the cat in the dinghy we got everyone settled in to their cabins and they were drinking coffee (I guess it was a little early for Caesar’s!) as another down pour hit. So it was a perfect opportunity to listen to Cap’n Doug give instructions on how to pump a marine head but more importantly how to make the contents in the said head disappear! Sometimes this can be an awkward conversation but other times it can be the greatest ice breaker! It turned out to be just that, a very hilarious conversation that would last for days, especially in the mornings. We freed ourselves from the mooring ball and motored to The Indians. We would have sailed but there were many squalls passing thru and as it was their first day on the cat we thought we would take it easy and not totally freak our guests out. 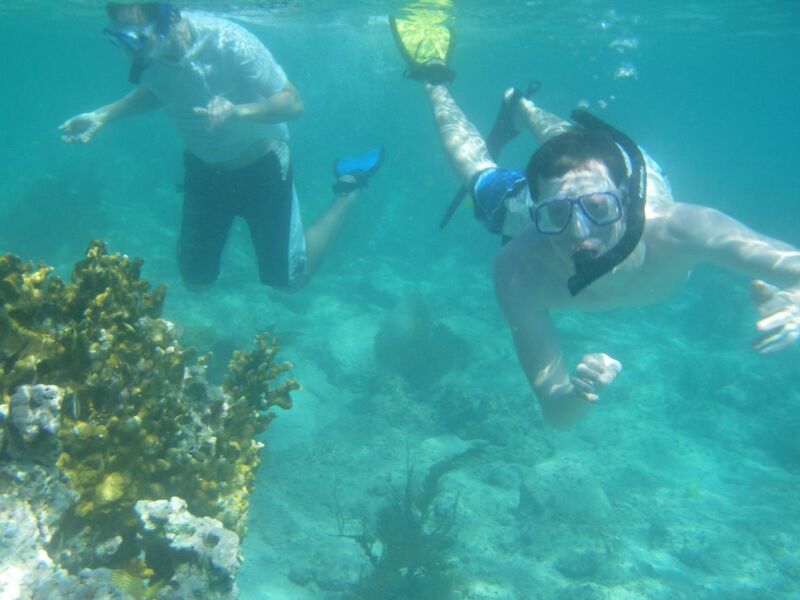 The Indian’s provide excellent snorkeling and diving. The gang was eager to get into the water and snorkel despite the rain. You see, these people had just left minus 20* Celsius (for you American’s…. that’s *$%^#$ cold!!) back home and they were lovin’ the 80*F temperature, rain or no rain! The rain let off enough that we enjoyed lunch in the cockpit and then did another short motor after their snorkel to Privateer Bay on Norman Island were, luckily for us, the weather started to clear and the sun was poking its head thru. Yay!! It wasn’t long after that when the ladies were up on the sun pads on the trampolines soaking up the rays and the guys were back in the water with their underwater cameras snorkeling and taking lots of pictures. I should mention that these weren’t just any pictures. These two, Rob and James, are professional photographers and, from what we have seen, at the top of their profession. Just check out their respective websites at www.westmountphotography.com/blog/ and http://www.hodgeblog.hodginsphotography.com/ and see what we mean. After a few coldies in Privateer Bay we lifted anchor and made way for Little Harbour, Peter Island, where we would stay the nite. Little Harbour is a well protected overnight stop with good holding and we snugged the cat up close to the shore and the craggy rocks (but not too close!!). Once we got ourselves anchored, we had appetizers and sundowners. Cap’n Doug made a big batch of Painkiller’s, which everyone enjoyed, of course (we have yet to meet one person who doesn’t like painkiller’s!). On the aforementioned craggy rocks located in fairly close proximity to the stern of the cat we just so happened to see a white goat (a ghost goat?). He/she (must be politically correct) was perched precariously atop a jagged rock. Pretty kewl, but then I guess it’s normal for goats as he\she seemed unimpressed with us and our impressive elbow to mouth exercises. This was all followed a short while later with dinner in the cockpit and lot of laughter, all under the starry Caribbean sky. What a great first day, and lots more to come! After a sound, restful sleep we enjoyed brekkie and weighed the anchor to leave this lovely serene anchorage and hit the road, so to speak, on to the next beautiful locale, The Baths on the Fat Virgin a.k.a. 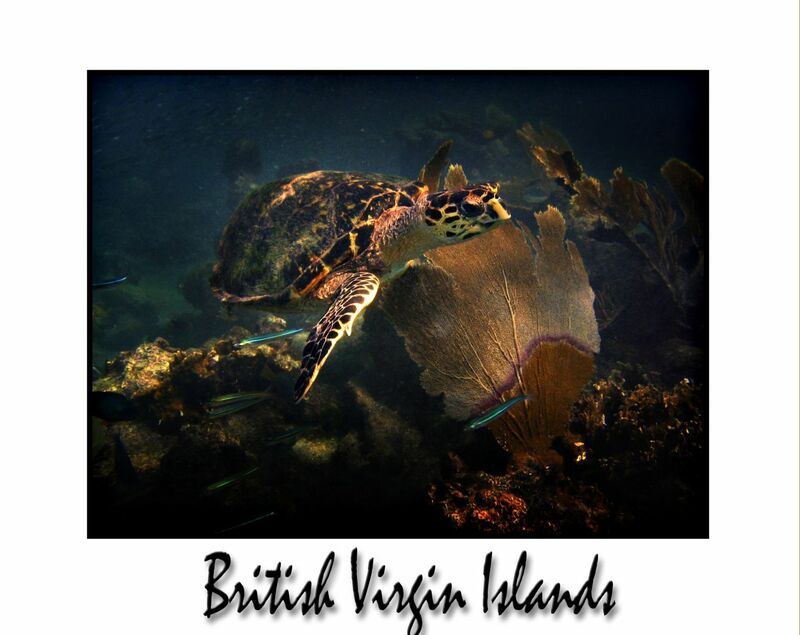 Virgin Gorda, one of the most beautiful islands in the BVI. On our way to our destination we enjoyed a lovely sail in almost perfect conditions whilst tacking up the Sir Francis Drake Channel. The prevailing winds are out of the east and guess which way we were going? East! It is the way of the sailor, whatever way you need to go the wind is on your nose! Never mind, we enjoyed the sail with some kewl tunes blasting out of the speakers and lunch underway. After a while we thought it best to get our hineys to The Baths as all of this tacking would have us there in time for dinner and we wanted to see The Baths in the daylight, as is highly recommended. We raced another boat to the only remaining mooring ball that, seconds earlier, had been abandoned and we won!! Ha ha! Funny, the cat we were racing to the mooring ball didn’t seem happy with us after that. Oh well! 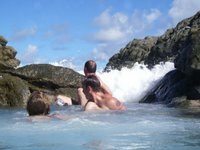 Everyone hit the turquoise waters to swim in to the beach to check out The Baths, which are huge monolithic granite boulders that sit atop one another. You get the feeling that if you so much as sneeze they will come tumbling down but they have been resting like this for thousands of years, spit out of a volcano and this is where they landed and now rest. Off we go again after The Baths headed for Gorda Sound to show off the luxurious Bitter End Yacht Club and famous Saba Rock. We passed all of the charter boats on mooring balls and headed past Saba Rock straight out into Eustatia Sound, where only the brave dare to go. Cap’n Doug was careful of the reefs strewn around the sound and he safely navigated to a lovely spot in 7’ of white sand. We were the only boat there and if you looked to the bow of the cat it seemed like the middle of the ocean and it was glorious. Before nite descended, the gangs decided to head into the Bitter End for cocktails and then take the free ferry to Saba Rock for more cocktails! Not too many tho’ as dinner was ready waiting back on the cat. BBQ Ribs! Woo Hoo! After dinner, we all hung out on the trampolines on the front of the cat to see thousands of stars that lit up just for us. There was absolutely no light pollution out where we were behind the reef and it was a new moon too, so we all enjoyed the light show, watching for shooting stars. You won’t see a fraction of these stars when you look out your window at home, that’s for sure. Sure makes you feel small and insignificant but groovy just the same. Next morning the gang did some kayaking and snorkeling on the reef and found a cannon and a very large ships propeller. How kewl is that? Once everyone was back on board (we generally try not to leave people behind in the water, it’s a good practice), we weighed anchor again, this time headed for the tiny island of Marina Cay which conveniently is home to the Happy ARRRRR Bar (Happy Hour Bar for those of who are not fluent in pirate speak). Everyone headed in to check out Michael Beans performance which is out of this world energetic and hilarious and gets everyone’s foot tapping, not to mention the copious amounts of Pusser’s Rum that is consumed. Daniellle entered the conch horn blowing contest as Mustang Sally’s representative and although the youngest competitor out blew ‘em all. Needless to say, everyone was in fine spirits and off to the Last Resort for dinner. Just another day in paradise. The guys got up early the next morning to dive the world famous wreck, The Rhone. While the guys were busy getting briefed by the dive master on board the dive boat the ladies were enjoying Mimosa’s with their brekkie with Cap’n Doug. Then it was time to for the ladies to go walk about in Trellis Bay and see if there might be any neat goodies to buy plus a little retail therapy at Pusser’s Marina Cay store. The guys came back in time for lunch and they filled us in on all they saw of the wreck. They told us how the captain had locked all of the guests in their cabins for fear that they would be washed overboard in the storm when instead they all drowned in their cabins while the ship sank…. tragic. Rob and James also told us the story of cabin #26 which was the only passenger who escaped and survived so as a result of this; the divers all touch the porthole of this cabin for good luck. Kewl but sad story. After lunch we motored a quick jaunt over to Monkey Point for world class snorkeling. We got the best spot at the point where again we were the only yacht. It was a little disappointing for Jocelyn to learn that there weren’t actually any monkeys here despite the name. We had a little fun with her when we played one of our cd’s that has monkey s in the background. Off everyone got into the water with snorkel gear on and swam around the point to see what there was to see. All reported back excitedly about all of the schools of blue tang, a turtle that was O.K. with the gang following him around for awhile (James got some great pics of him), and a few tarpon. Tarpon can always be a little freaky as they can get real big. We hung out in the cockpit and shared a few laughs and stories while Danielle practiced blowing the conch horn which she seemed to have mastered in no time, and we encouraged her to do her best to annoy the people who had decided to camp out on “our” private little beach for the nite. Obviously, she did not annoy them enough as they did not leave, but no matter, Mother Nature fixed their wagon when it started to pour! Ha! Next morning the boys and Danielle, the mermaid, went snorkeling again while the ladies soaked up some rays and relaxed. When they came back we heard stories of a school of tarpon that had to be 50 or more! (James got this all on film, unfortunately Rob’s camera brokeL)Some great pics! Sadly it was time to say good bye to the turtle and tarpon head to the next spot, happily tho’, the next spot was Green Cay and Sandy Spit. When the gang saw this idyllic spot they forgot all about Monkey Point. James hopped into the water before the anchor was even set, I think, on the hunt for rays which Cap’n Doug told him would be here and sure enough he wasn’t in the water 5 minutes and he was capturing them on film. After that we dinghied into the beach to shoot a movie. You see Danielle is a budding actor/director/editor, hence, Coconut Castaways was filmed and everyone played a part in the film. Soon to be viewed on youtube.com Great fun! Once the film was “in the can” we headed for Diamond Cay, again a very short motor, where we got settled in for the nite. In the morning we hiked to the Bubbly Pool which used to be a secret but now everyone and his brother knows all about it. Still, a lot of fun and we had timed it perfectly, as the tide was coming in and the water was crashing thru the narrow rock crevasse creating huge wave action, which is a blast. Once we all had our fill of that we hiked back out to the dinghy and then made tracks to Great Harbour to check out Foxy’s and Corsairs and all of the little shops there. The photog’s where having a field day with the quaint little village and got some great shots again. Back on board we went around the point to White Harbour where we would over nite and spend the entire next day. 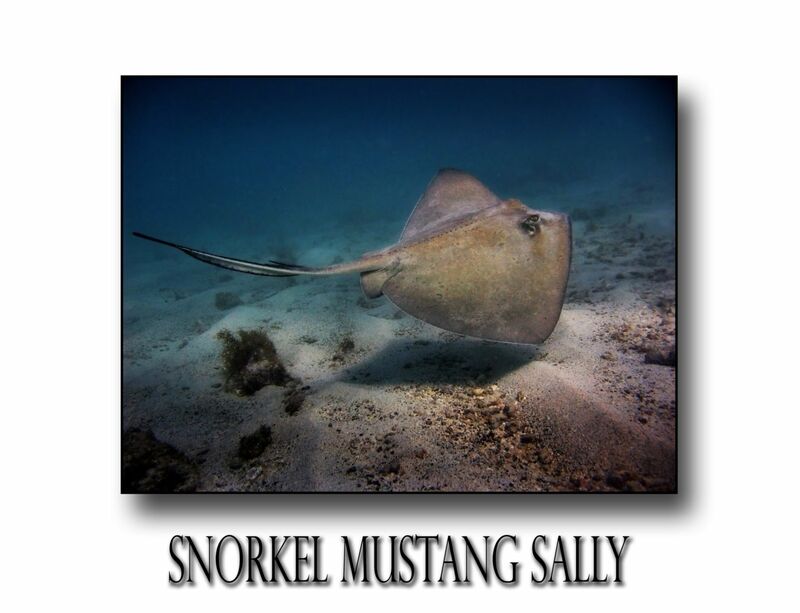 The next day was the gangs last day on Mustang Sally Land we wanted to make sure they had a full day on a beautiful white sandy beach and got to really chill before flying back to the Great North. We enjoyed a big steak dinner the second last nite and enjoyed the play of light on the white sandy beach and recapped all of the exciting things that happened in their week with us. The next day was leisurely spent snorkeling the reef, tossing the Frisbee on the beach and resting our tushes on Soggy Dollars beach chairs whilst imbibing many of Mic’s cocktail infusions and watching the other yacthies get smashed. I remember that James and Jocelyn were very fond of Mic’s Banana drinks. I can’t remember the names of them…something like Bananarama or Banana Hammocks! LOL! We decided lunch on the beach was in order and we packed up a big cooler bag full of egg salad and tuna salad sandwiches and wraps with lots of coldies and chips and pretzels. Ahhhhh! Could it get any better than this? 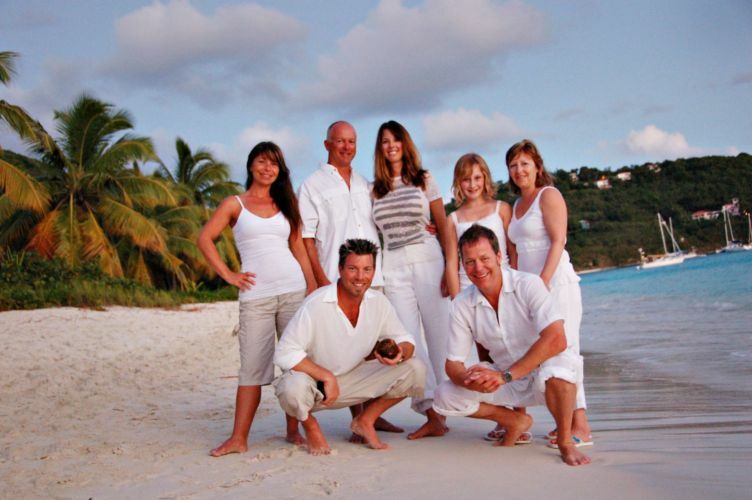 The photogs, James and Rob, had requested that everyone dress in white for a photo shoot on the beach at sunset. The pics turned out beautifully and the lighting was perfect at that time of the day. These guys really know what they are doing. After the photo shoot we had dinner on the beach at Soggy Dollars romantic beach BBQ complete with torches stuck in the sand and everyone enjoyed huge shish-ka-bobs. Cap’n Doug’s birthday was two days after the gang was leaving us so, they thoughtfully sang Happy Birthday to him and presented him with a gift. These guys are the best! Next morning came way too soon. We rose bright and early to sail over to Soper’s Hole for the 9.30 a.m. ferry that would whisk them away to the airport in St Thomas and their northerly flight home. After we had loaded the luggage in the dinghy and exchanged address and email address we also exchanged big hugs all around and a teary eye on my part (I’m not good at goodbyes). I know that I can speak for Doug as well as myself when I say that we were saying good bye to lifelong friends. That’s what it’s all about, isn’t it? We both waved like fools (or maybe that was just me?) from the cockpit as the ferry left the dock. Can’t wait to see them again. 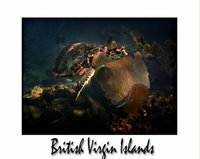 Check out the blog sites of these amazing photographers AND view more pics of their trip with us on their blogs. Also the boat will be at Antigua Race Week acting as a floating hotel. Book 1, 2 or all 3 queen rooms with ensuite heads for $150 per night, continental breakfast and dinghy service provided. First off Birthday wishes to a few people at home and here too! Happy Birthday wishes go out to Cap’n Doug on the 15th, Doug’s Mom, Kathie, on the 18th, my girlfriend Christine who is celebrating a milestone BD on the 20th, my brother Jeff on the 23rd and big Happy Anniversary to my Mom and Dad on the 14th. Today is another beautiful day in Christmas Cove where we are hanging out for the last week getting caught up on projects like scrubbing the hull getting barnacles off, to grooming 2 dogs whose fur seems to grow like crazy, and last but certainly not least the log. When I left off on the last log Kathie, Doug’s Mom, was leaving us to fly back home to chilly, blizzardy Canada. The next gang of brothers, Jon, Adam, and Simon and Adam’s girlfriend, Manica were set to join us over the next two days, 27th and 28th of December. They flew all into St Thomas and took cabs over to the east end of the island to Red Hook where we had been waiting for them. Simon was the last to arrive so we hit Duffy’s Love Shack for dinner to wait for his cab to drop him there. Duffy’s had lobster on the menu but it wasn’t Caribbean lobster, it was Maine lobster just flown in! 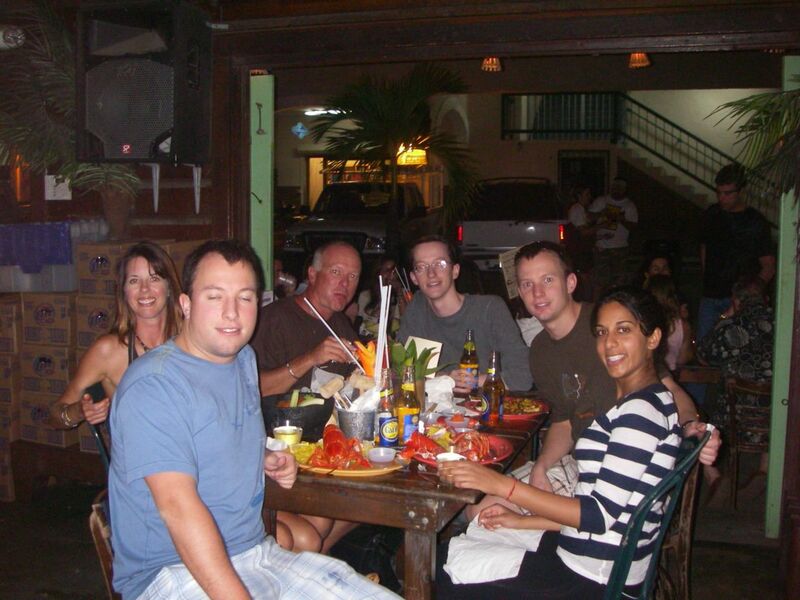 What a treat to have Maine lobster in the Caribbean! The boys love lobster of course and were more than happy to eat lobster of any sort. After Simon had arrived, Adam, and Manica were still waiting for their luggage. Not sure what it is down here, but seems like almost everyone that comes to visit loses their luggage. But luckily it always turns up the next day. Once we had the luggage safe and secure on Mustang Sally we weighted anchor to get the fun started. We headed straight to White Bay, Jost Van Dyke in the British Virgin Islands. 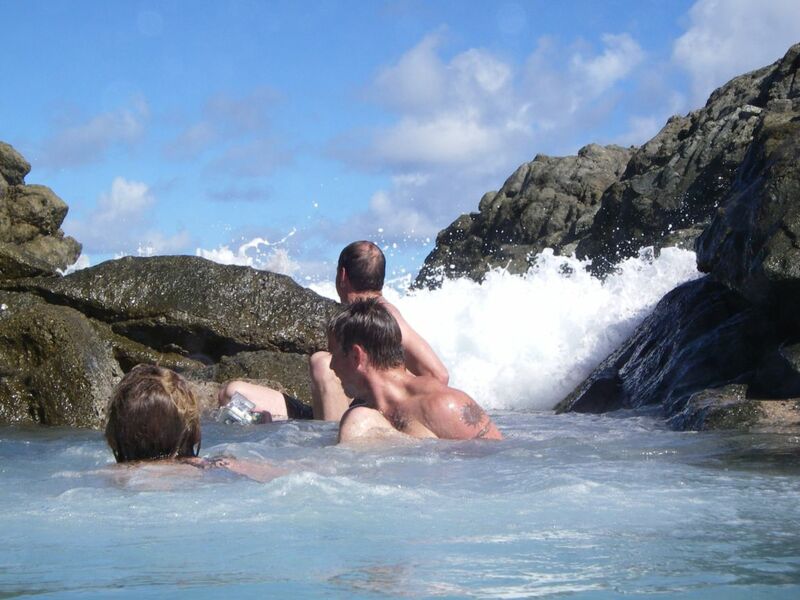 As soon as the anchor was set the boys and Manica jumped in for their first swim in the warm turquoise waters. All four have been stuck in bitterly, cold weather for awhile back at home so they seemed anxious to get into the water and feel the warm sun on their backs. Can’t imagine why! Everyone then swam to the Soggy Dollar for their famous Pain Killers, and to soak up some rays with lots of sun screen on. We BBQ’d kabobs for dinner the gang played Scrabble late into the nite. We were trying to decide what to do for New Years Eve which was only 2 days away. Everyone had heard of the famous Old Year party at Foxy’s and wanted to go there but it was not going to be that easy. The gang would have to forgo a couple of days exploring other places and hang out in Great Bay on Jost, which was just around the corner from White Bay, where we currently were, for the next 2 days to get a good spot to anchor for the party or forget it and move on to other places. There were other choices for New Years although they were not near as famous as Old Year’s Night. Foxy’s New Year’s party is so famous that it is considered one of the top 10 places to be for New Years Eve, so it was a tough decision to make, whether to stay there or continue on. In addition to losing a couple of days exploring other places, anchoring at Great Harbor can be a nightmare as the holding is not good thanks to a clay bottom and boats drag there all of the time. Imagine what it would be like with thousands of people (we have heard reports of 10,000 people, hard to believe), descending on Foxy’s with their boats and getting so liquored up they don’t even realize that their boat is dragging as they are passed out or too drunk to do anything about it. That many people crammed in one place, drunk out of their minds, some throwing up, sounded very entertaining but the gang decided to forgo Foxy’s in favour of seeing more places while they were here. Once that decision had been made we lifted anchor and set off the next morning to explore. We started by motoring over to Sandy Spit and Green Cay. Some of the most beautiful islands (if you can call them that, as Sandy Spit is really just a deserted sandy spit of an island that has palm trees on it) in the B.V.I. and reportedly some of the most photographed islands in the world, think screen saver. The gang snorkeled in search of rays and starfish then we swam to the island and walked the white sand beach and lazed about. We weighed anchor again and had a brief upwind sail ending in a motor to Monkey Point on Guana Island. We anchored in a lovely, red, craggy, rock section with azure blue waters underneath us, and enjoyed BBQ Baby Back Ribs and a competitive game of Scrabble. At points I heard words I have never heard of before, although quite ingenious and hilarious, they were not real words! Monkey Point has some of the finest snorkeling in the Virgin Islands and so the next morning after brekkie everyone was anxious to get into the water and see just what was under the surface. So many fish!! Especially Blue Tang, in enormously large schools that moved together as if they all shared the same brain like the “Borg” on Star Trek. And tarpon, lots of really big tarpon, averaging 4-5 feet long!! All of this in less than 15 feet of water which made for a very exciting time and a few squeals of excitement were heard from Manica’s direction. 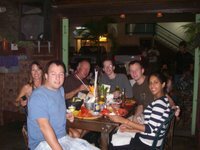 The next day was New Years Eve so we thought we would check out Trellis’ Bay’s New Year’s festivities, just a short trip away, on the east end of Tortola. When we arrived, we saw all of the already drunk sailors trying to anchor their boats in an already cramped anchorage (just what we had tried to avoid at Foxy’s). Guess it doesn’t matter where you go on New Year’s Eve you’re going to find drunk, haphazard crowds everywhere! That’s what it all about, after all! We decided to hit Michael Beans” Happy Arrr!!! Show” for happy hour, of course. After an interminably long wait for the ferry (island time? 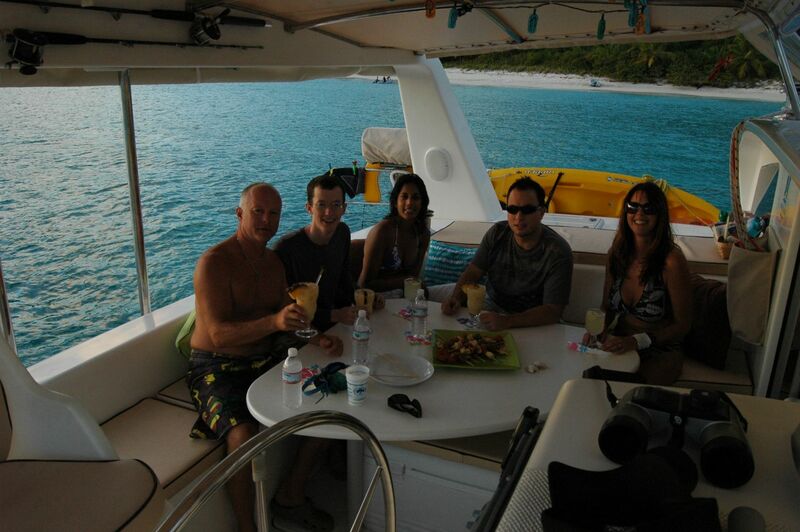 ), to take us on a very short ride to the little island of Marina Cay we were at the bar. Doug and I always get a kick out of this show and we thought the gang might too. We think they enjoyed it but thought it was a wee bit hokey. Oh well, everyone enjoyed painkillers and rum drinks anyway! After the Happy Arrrr cocktails show we hit the Pusser’s Rum restaurant for our New Years Eve dinner on the beach, complete with a starlit sky, sound of the surf hitting the beach, good food and drink. After dinner we caught the ferry, (no longer on island time!) and headed for the huge beach party at Trellis Bay, There were thousands of people on the beach listening to reggae tunes, drinking rum and dancing near the carved metal spheres which are rooted in 3 feet of water along the beach, which were lit and the “kokopelli” type men carved into the spheres appeared as surreal large dancing figures on the beach and the water. The centerpiece of all this was a 20’ high effigy made out of branches, which was also anchored in the water about 50’ off shore. Everyone was waiting for midnite, of course, for this is when the huge effigy would be lit aflame. His figure would become a towering inferno, so to speak (sorry), when lit. Everyone was jostling to get into a good viewing position as the seconds counted down. It’s a funny thing, but no matter how many New Years go by you can feel the anticipation of the people around you waiting for the clock to strike twelve. Sure enough, when the clock struck twelve the effigy was lit by a brave soul who waded out into the water for this purpose, and when aflame he quickly moved away. It caught and the flames grew, grew so large in fact that I was getting a little nervous. 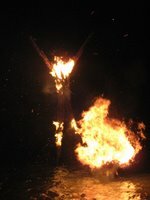 Even tho this effigy was in the water and 50 feet away, the prevailing wind was whipping up quite a bit, blowing a lot of BIG sparks into the crowd on the beach. Suddenly the scene was reminiscent of a World Cup soccer game gone awry. I could see a huge panicked crowd crushing in the making. One good spark catches on someone’s linen shirt or polyester wind jacket and whoosh! Not something I wanted to hang around for. The islands don’t exactly have the same safety standards or crowd control as in Canada. We were all ready to head back to the cat anyway, and enjoy a coldie back on board where it was quiet and comfortable and watch the action from the safety of the cockpit. It was a great New Years Eve and even tho we couldn’t decide where the best place was to spend it, it didn’t matter, as Doug had his 3 sons together and that was the best part. The next morning dawned another beauty day and we treated ourselves to a big decadent brekkie with Mimosas to celebrate the arrival of 2008. As soon as brekkie was inhaled we headed for the Baths. Gigantic, awe inspiring boulders, spit from the belly of a volcano that lean precariously against one another and some seem to be suspended in air. It is a very kewl feeling walking the trail that leads thru this wonder of nature and you might think to yourself ” If I just push a little too hard on this rock it will all come tumbling down”, but never fear these rocks have been there for thousands if not millions of years. A very kewl thing to see. Pressing forward from there we decided it was chillin’ time. The gang all lead very busy stressful lives in the other world and everyone thot it would be nice for down time, a chance to read in the sun, catch some rays on the sun pads on the tramps up front, and swim and snorkel at leisure . Not that we hadn’t been relaxing but we decided that instead of moving to a new location every day we head to one sweet spot and hang out for the duration of the gangs trip which was only 3 more days. 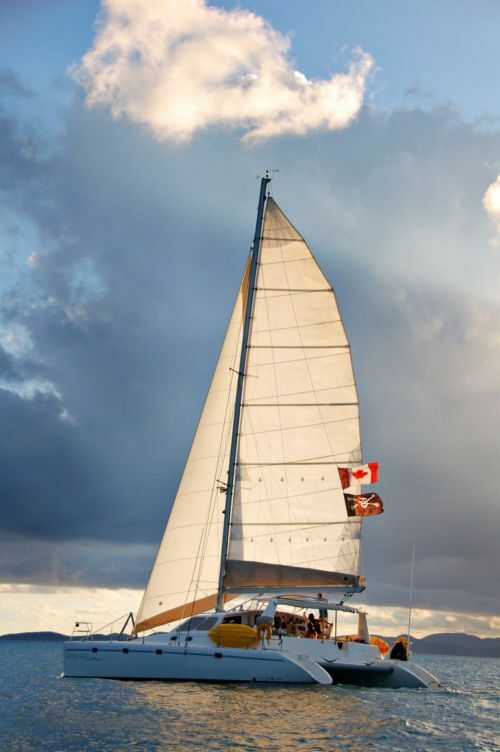 We had a lovely downwind sail to Cooper Island and enjoyed another gorgeous sunset, sundowners and then dinner. Once again, the Scrabble board was brought out and things were getting pretty fierce. I think Adam was winning that nite and there was a wee bit of gloating on his part, much to the dismay of the rest of the gang, who couldn’t wait for revenge! 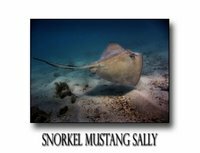 Waking up to another carbon copy beauty day, Doug, Simon, and I snorkeled the rock formations there and found that the fish were more like our two dogs Willis and Rollie than fish as little schools followed us around begging for rice and whatever else snorkelers were handing out. It was cute. We had a short downwind sail to beautiful Key Bay on Peter Island and put the hook down to hang for the next few days. We almost had the anchorage to ourselves here but for 2 other boats. Everyone quickly got into the rhythm of doing whatever you felt like. Manica and I spent a lot of time reading and enjoying the view while the boys took to the water. They saw lots of rays and swam with turtles especially a big old turtle for quite awhile. We also had a big barracuda hanging underneath the boat, (maybe because we were throwing scraps overboard! duh!) and the three guys decided that they were going to be brave by getting close, real close, thinking that the ‘cuda would leave seeing these 3 big “fish” approaching . Well, this ‘cuda wasn’t havin’ any of it, held his ground and wouldn’t budge. I guess he wasn’t inclined to give his reef up to just anybody. Not exactly sure just how close the guys all got (they say REAL close) but I have a feeling they saw the baleful, challenging eyes glaring at them and they turned tail rather than getting too close and duke it out. Probably a good idea. Our last two days were a chance to take it easy and recharge the batteries, enjoy good company, eat too much, imbibe a wee bit and play LOTS of Scrabble. This was all accomplished with great flair and everyone was getting real good at it, especially at Scrabble. The past reigning champ is no longer the champ any longer, after much fuss and kerfuffle, Adam was dethroned, and wasn’t very pleased about it, LOL!! Unfortunately, all good things come to an end and it was very sad when we had our last dinner before heading VERY early to the ferry dock in Road Town the next morning. Doug and I watched the ferry leave from the cockpit of the cat the next morning and we were both very quiet for a long while after they left us. Stay tuned for our next log when Rob, Tina, Danielle, James and Jocelyn came and hung out with us for a week!